The Conservation Caper’ show recently touched down at West Islip’s Oquenock Elementary School. 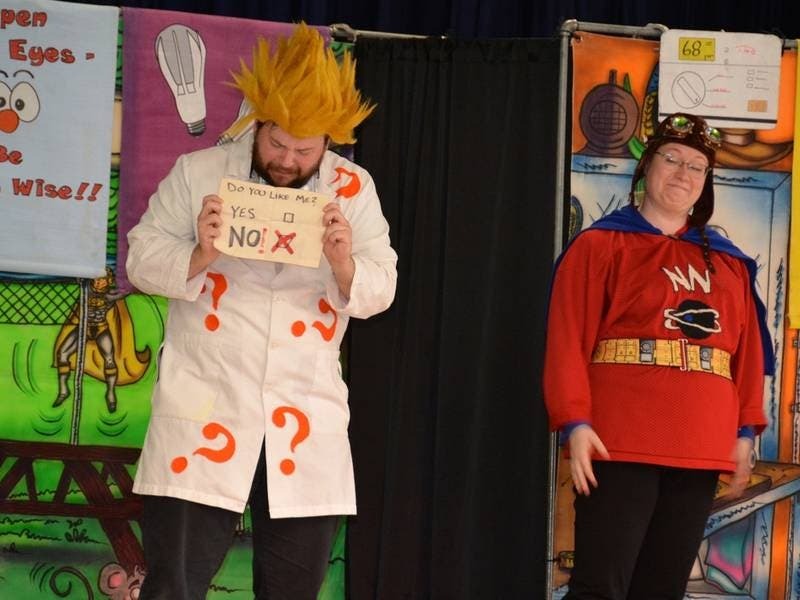 WEST ISLIP, NY – From West Islip School District: “The Conservation Caper” show recently touched down at West Islip’s Oquenock Elementary School, inspiring students to think harder about energy efficiency and conservation. Sponsored by PSEG Long Island and set on a quiz show location, the show features a colorful character conflict between superhero Nikki Neutron and the energy-wasting villain Dr. Maybe. The result of a partnership between PSEG Long Island and the National Theatre for Children, it is performed by professional actors from the NTC at elementary schools like Oquenock throughout Long Island and in the Rockaways.